The Family Justice Center, in partnership with Monument Impact, brings Mentes Positivas to our Central Center. 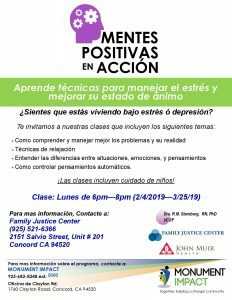 Mentes Positivas is a program designed to reach Spanish-speaking clients of the Family Justice Center who self-identify as living with stress and depressive symptoms. It aims to give participants the tools to lower their stress and depression levels and prevent future occurrences. 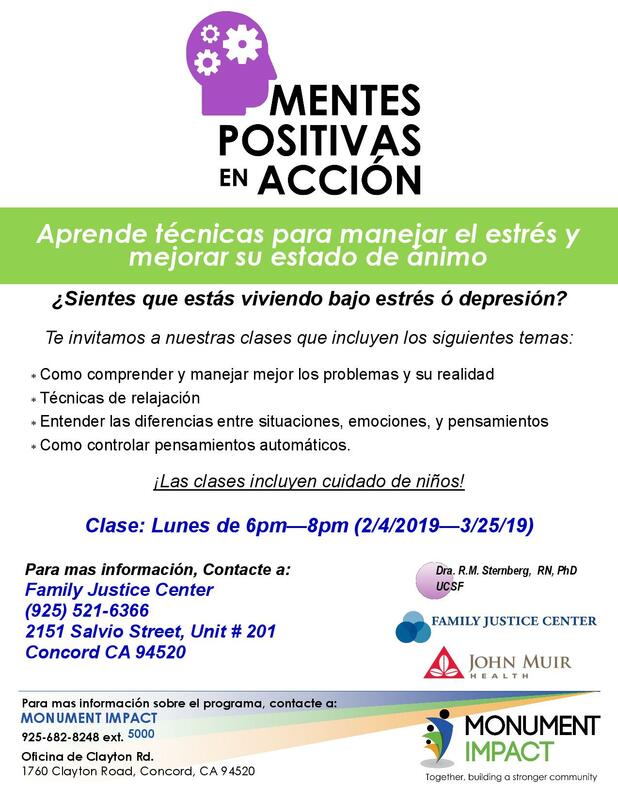 The 8-week curriculum utilized in this program is based off of various scientific findings on stress and mental health, and is tailored to be culturally sensitive, and linguistically relevant.